The College of Saint Rose in New York's state capital of Albany offers a liberal arts and sciences education for about 3000 traditional and non-traditional undergraduate students. The serene Hubbard Interfaith Sanctuary provides worship opportunities to a wide variety of faiths, while offering peaceful meditation through art, music and botanical exhibits. Describe the type of student who should not attend The College of Saint Rose and explain why. Describe the type of student who should attend The College of Saint Rose. Why? What is a typical The College of Saint Rose student like? Describe the type of person that should attend The College of Saint Rose. What are the top 3 reasons someone should attend The College of Saint Rose? The professors are very nice and give each student the attention needed. Everything in the town of Albany is within walking distance for the students of Saint Rose. What was a typical The College of Saint Rose student like in high school? Describe the type of person that should attend The College of Saint Rose. Saint Rose President Dr. R. Mark Sullivan often says that the best indicator of the financial health of a college is a construction site on the campus. At Saint Rose, students believe that workers in hard hats are a regular part of the college landscape as our president has spent much of his 13-year tenure building new academic facilities, updating and renovating older buildings and upgrading the campus to the 21st century. This more than $60 million investment has enabled Saint Rose to draw the campus and community together for lectures, art exhibits, concerts, panel discussion and dialogues. Some colleges are quite isolated, while others are located in such big cities that the experience can be overwhelming. Albany is a city that students from both rural and large metropolitan areas find "just right"--surrounded by plenty of outdoor areas including the Hudson Valley and the Adirondack and Catskill mountains. Students benefit from the excitement of a vibrant Capital City filled with thousands of college students as well as museums, shops, restaurants, and galleries. With a coffee shop, movie theater and plenty of pizza and sub places, the blocks surrounding the Saint Rose campus are full of things to do. The Capital Region is also becoming known as Tech Valley, with many firms locating in the Albany area providing a diverse economic base when combined with all of the New York state agencies, law firms, non-profit organizations, and educational institutions. What are the top 3 things that students do for fun at The College of Saint Rose? You can join student clubs, I find that's always the best way to meet people! Plus you are doing something positive! Campus housing is available for undergraduates. Housing deposit : $150.00. Housing deposit due : May 1. Housing deposit is refundable in full if student does not enroll.. No cars. No pets. The average student pays $23,910 for tuition, fees, and other expenses, after grants and scholarships. Total stated tuition is $26,750, in-state and on-campus, before financial aid. Learn more about financial aid at http://www.strose.edu/undergraduateadmissions/financingandcosts. Estimate the net price for you at http://www.strose.edu/undergraduateadmissions/financingandcosts. The College of Saint Rose participates in the NCAA Division II for college athletics. 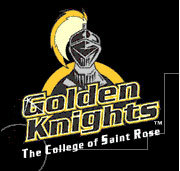 Want more info about The College of Saint Rose? Get free advice from education experts and Noodle community members.